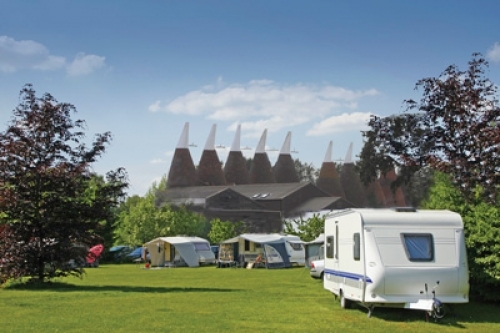 The Hop Farm is Kent’s historic landmark, the world’s largest collection of Victorian Oast Houses. It is also major visitor attraction, with a children’s theme park, animal farm and 500 acres for events. Surrounded by rolling countryside. Simply pack your tent, pick your spot and enjoy the lovely views. Lots footpaths and trails to enjoy. 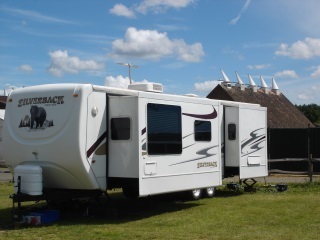 We have over 100 hard-standing and grass electric hook up pitches for caravans, and water points. Our superb campsite and touring park is delightfully set in over 500 acres of beautiful open fields and woodland at one of Kent’s most popular family visitor attractions. The Hop Farm is Kent’s historic landmark because the spectacular Oast village is the largest Oast house collection in the world – it’s the ultimate backdrop and a fantastic base for exploring Kent’s Garden of England. It is also major visitor attraction, with a children’s theme park, animal farm and 500 acres for events. There are exquisite function rooms which are used for weddings and meetings and the land also hosts the UK’s largest drive in cinema every day. 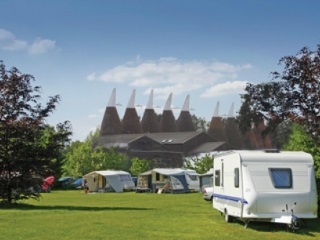 The Hop Farm’s camping and touring park is an award winning site, surrounded by rolling countryside. There is a shop, shower block, washing up facilities, electric hook ups and capacity for 100’s of pitches. 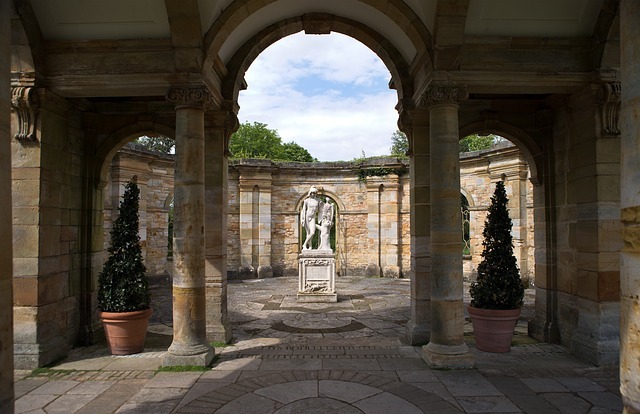 The park is ideally located to visit all the tourist sites around the Garden of England and beyond. There are plenty of places to eat and drink on the site, including cafes, restaurants and pubs. 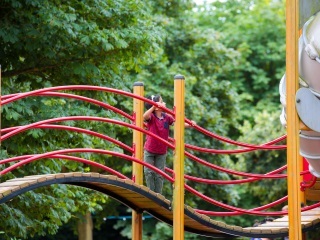 This combined with the Family Park which features children’s rides, live entertainment and animal farm, make it the ideal destination for your UK staycation. One of the best camping sites in Kent, our park has 300 pitches and include hard standings, electric hook-ups and water points. Facilities include toilets, showers & washrooms with electric points and of course the Family Park on your doorstep. Dogs are welcome on the touring park (kept on a lead) but are not allowed in The Hop Farm Family Park. The Hop Farm lies on the River Medway. Campers can make use of the riverside setting with canoes. 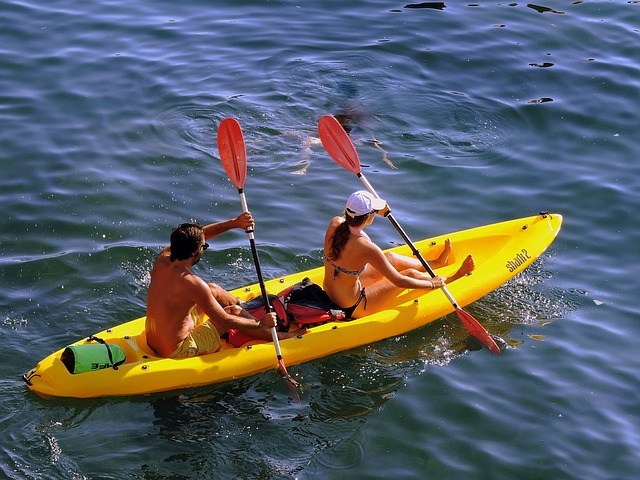 Alternatively, canoeists on tour can enter the campsite via the riverbank and camp (standard charges apply – advance booking required). The Hop Farm lies on the River Medway. Campers can make use of the riverside setting with canoes. Alternatively, canoeists on tour can enter the campsite via the riverbank and camp. standard charges apply and advance booking required. Kent’s Garden of England has some of the best visitor attractions and superb places to visit and explore. With a lot of coastline there are some fantastic beaches to be found. The Hop Farm is right at the heart of Kent, it’s very close to Paddock Wood mainline railway station, and less than an hour from London. Paddock Wood railway station is just 1.8 miles and 5 mins in car or 25 min walk from The Hop Farm (We do not recommend you walk because the road can be hazardous). Nearby are plenty of amenities to enjoy such as fishing, golf, swimming/leisure facilities, horse riding, great places to shop and some fine restaurants to dine in. We are also situated in an ideal location for easy access to the Continent.